Schleedorf is a village in the northern part of the Flachgau region in Salzburg. It is situated on a plateau on a hill near the Wallersee, right at the centre of the Salzburg Lake District (Salzburger Seenland). 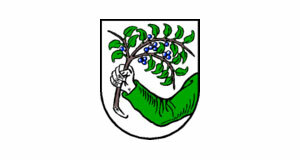 Schleedorf has a population of approximately 2,200. Schleedorf is too far off the major traffic routes for being overly attractive for commuters; this might be the reason why its population is relatively low in an otherwise densely populated area of Salzburg. Despite of its small size, Schleedorf does have a few attractions to offer that deserve a closer look. The main reason why "tourists" (aka locals on day-trips) come to Schleedorf is the Käsewelt, a cheese museum. Most of Salzburg has a pronounced tradition in dairy farming, particularly strong in the fertile hills of the Flachgau. Some of Austria′s biggest cheese and dairy companies can be found here. The Käsewelt is an interactive museum that explains traditional and current techniques for making cheese. It is great fun especially for children and draws them in crowds to Schleedorf. Another attraction of Schleedorf would be the Tiefensteinklamm, a gorge that makes a nice hiking route. Note the obligators parish church, with statues made by the famous Baroque artist Meinrad Guggenbichler. The former village locksmith is now a show workshop. International tourists are unlikely to stay in Schleedorf, but if you tour the northern Flachgau, a quick stop might be worth it. Schleedorf is not as cheesy as…well, let′s leave the bad jokes aside.